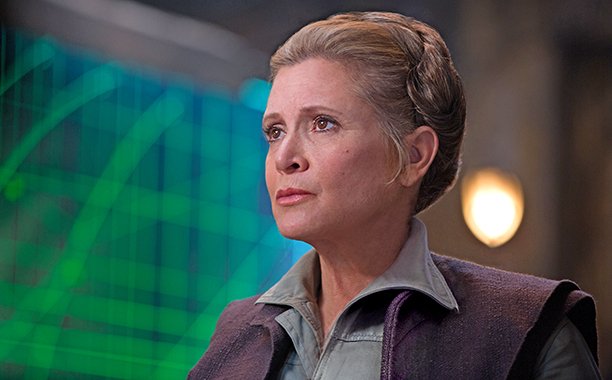 One of the biggest questions that Star Wars fans have had since the passing of Carrie Fisher last Christmas was how they would handle the loss of the actress inside the new Star Wars trilogy? The initial concern was that they might pull some sort of Uncanny Valley scenario like they did with Peter Cushing as Grand Moff Tarkin and with Fisher as a younger version of Princess Leia in Rogue One. We know that the majority of the concern is reserved for ‘Star Wars: Episode IX’, as filming had already wrapped on The Last Jedi at the time of her passing. Also, we know that she has a much more significant role in the new film than she did in The Force Awakens, so there has been rampant speculation about what was planned for the character in the Episode IX. The reality is that for all we know, Princess Leia might have already died in the new film and we just won’t know it until it hits theaters later this year. Hopefully we’ll learn more when we head over to Star Wars Celebration later this week. Stay tuned for complete coverage from the show!